Check out this video to see why past participants LOVE our race! With 24 years under our belt, the Santa Claus Shuffle is a well-planned, fun and festive event for the entire family! Get your December off to a great start by joining the crowds of costumed runners through the beautiful historic streets of Olde Towne Portsmouth, Virginia and along the scenic seawall. When you’ve finished your run, you’ll enjoy complimentary refreshments of Starbucks coffee, hot apple cider, hot chocolate, doughnuts, and bananas. Running in the Santa Claus Shuffle will boost your holiday spirits – PLUS, you will be helping young people in our community who need a little extra guidance and the help of caring adults. Please join us and register today! Support your favorite non-profit! The largest team will receive a $200 gift to the charity of their choice. To be eligible for the prize, your team must be pre-registered. The winning team will be determined at the close of pre-registration on November 9th and announced at the race. ALL 5K participants will receive finisher medals! Your race fee includes an awesome t-shirt, great refreshments (Starbucks coffee, doughnuts, bananas, hot apple cider, orange juice, chocolate milk!! 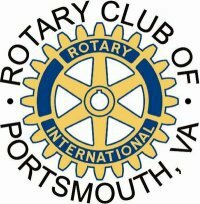 ), inclusion in a door prize raffle, views of beautiful historic Portsmouth, VA, and a boatload of family fun! 5K Awards will be posted and announced as soon as results are in. Overall awards to the top three male and female winners. Costume Contest Wear a costume just for fun OR stop by the picture booth to enter the costume contest. Refreshments Thanks to our generous community partners, refreshments are complimentary. Enjoy! Stocking Stuffing Drive Bring gift cards, small gifts such as playing cards, new socks, toiletries such as soap, shampoo, body wash, deodorant. Collection of items will be used to stuff stockings for our underprivileged youth. With your help we can touch lives of youth in ways not possible through state support alone. From meeting basic needs of youth to developing and supporting life-changing services, the proceeds from the Santa Claus Shuffle are vital to the success of our efforts. We believe the TYS Foundation has answers to questions and solutions to problems plaguing at-risk youth in the area. We invite you to participate with us and become part of the solution. For More Information: Contact Race Director, Joe Lloyd at tysf@tysfoundation.org or 757-488-9161.